Overview: 5 reels, 26 lines, Wild and Super Wild Tree symbols, Free Spins, Scatter symbols. 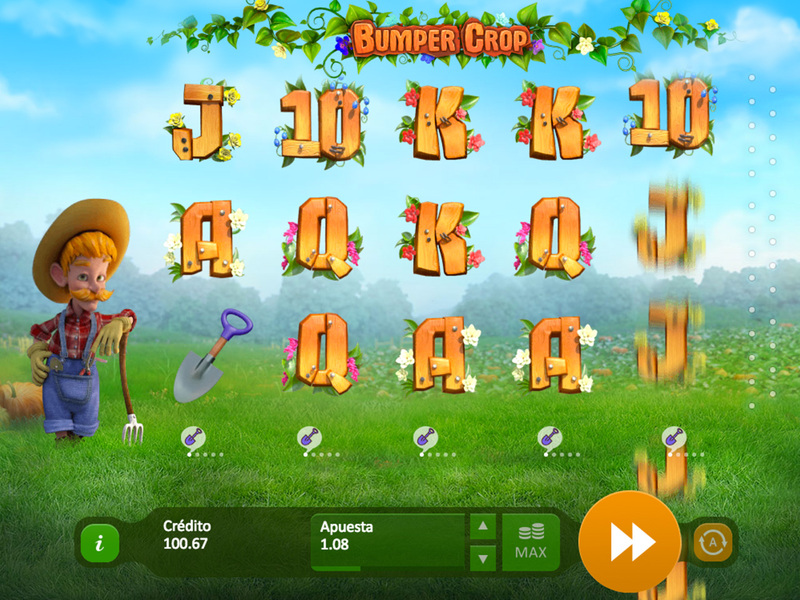 Inspired by farm theme Casino Oasis wants to introduce you to Bumper Crop Video Slot. Be caring and grow Wild or Super Wild Tree and you will be rewarded with 3 to 4 or 10 Free Spins. Enough words just experience Bumper Crop and enjoy your winnings! 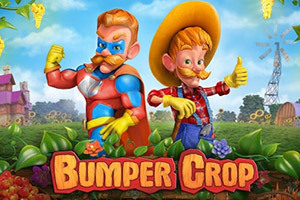 Bumper Crop is featured with Wild, Scatters and Free spins, where you can play 27 fixed bet lines with different coin values. The Super Wild Tree grows only on the 3rd reel, on the rest of the reels grows Wild Tree. To grow the Wild or the Super Wild Tree players have to collect certain combination of scatters on each reel. With Scatter Symbols player can grow the Wild and Super Wild Tree. Only one Scatter on one reel per spin can be applied. Full Grown Wild and Super Wild Tree will activate Free Spins. During Free Spins Wild substitutes all symbols, including scatters. Full grown Wild Tree activates 3 to 4 Free Spins while Super Wild Tree activates 10 Free Spins. Only 1 full grown Tree could be in a field, all the other full grown Trees will be temporarily frozen. The new Tree is defrosted and fully grown after the previous one disappears. If the total bet has been changed during the growth of the Tree, the wins during Free Spins will be multiplied by an average amount of total bet. During Free Spin mode the Super Gardener Symbol is available. Lines pay both ways during Free Spins.